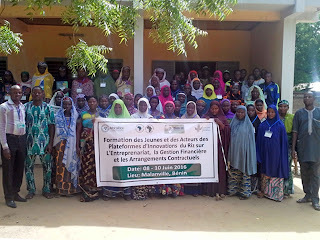 More than 60 rice value chain actors, including 48 women, underwent training in entrepreneurship, business management and contractual arrangements in the Malanville Rice Sector Development Hub in Benin, 8-10 June 2016, as part of the African Development Bank-funded project on Support to Agricultural Research for Development of Strategic Crops in Africa (SARD-SC). Malanville is the largest irrigated rice scheme in Benin, where AfricaRice has introduced new technologies, including the GEM parboiling system using an innovation platform approach, to upgrade the rice value chain. 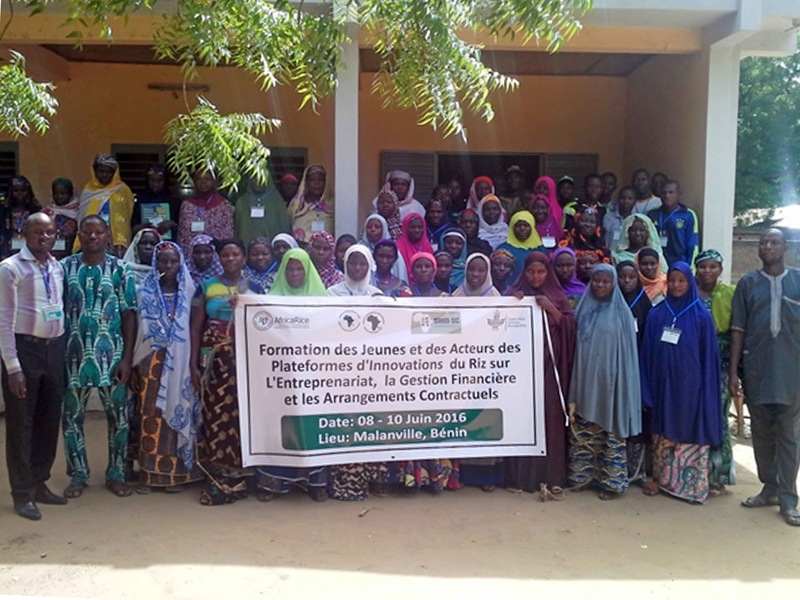 The main objective of the training, which was conducted by the AfricaRice Impact Assessment team, was to help women rice parboilers, youth and other participants to improve their entrepreneurial knowledge and skills. This is expected to lead to an increase in the impact of innovation along the rice value chain.